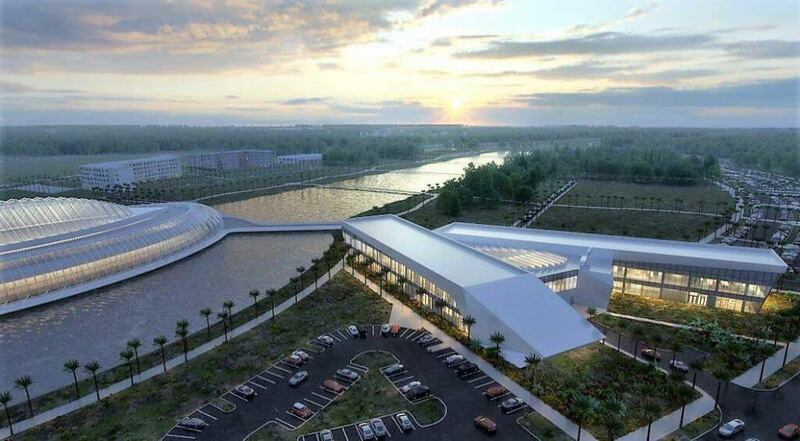 Looking to the future, Florida Polytechnic University is embarking on a two-year project to build a second academic building to continue to prepare the workforce of tomorrow for higher-wage, higher-skill jobs in a burgeoning tech-savvy county. The new 85,000-square-foot building dubbed the ARC — Applied Research Center — will “serve as a research hub for the Central Florida region, becoming a magnet for high-tech development around the school,” the university said. Some may stay and work in Polk County, where the number and diversity of such jobs is growing — one reason the Central Florida Development Council has put a priority on those fields. “Our majors and concentrations are consistent with CFDC’s target industry clusters, which defines what industries they are focusing on growing in Polk County,” Avent said. Those clusters include research and development that will occur at SunTrax and the Advanced Mobility Institute (AMI) at Florida Poly, the state’s 12th university and the only one exclusively devoted to STEM (science, technology, engineering and math) education. SunTrax is a $42 million test track that borders the Polk Parkway, where two buildings are currently under construction. The first phase — the 2.25-mile track to test toll technology, among other things — is expected to open in the first half of 2019. The second phase is a $90 million 200-acre infield testing and verification facility that will begin development by the end of 2019. The Florida Turnpike Enterprise is building and funding the project. Board of trustees member Bob Stork said developing a research park could help the area’s economy, saying a recent study shows communities with a research center experience 28 percent growth compared to those without one, which grow at 7 percent to 8 percent a year. Designed by the architecture firm HOK “with the goal of creating a dynamic, functional and flexible space that will promote research growth, entrepreneurship, collaboration and connectivity amongst the campus,” according to the university, the two-story ARC will be built adjacent to Florida Poly’s first building, the Innovation, Science and Technology (IST) building. Both will be visible from Interstate 4. Construction will begin in August. Stork said the new building is critical because the IST has been at capacity since opening in 2014. If you have questions about this topic or others, please contact us at the Central Florida Development Council.